Blot up excess with white kitchen roll, then sprinkle salt on the remainder of the stain and leave it to DRY so it can be vacuumed or swept or brushed up. 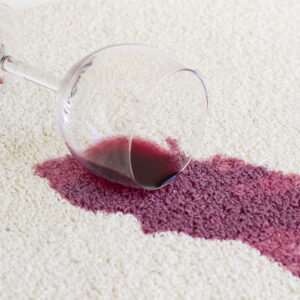 For the next step DO NOT be tempted to use a general carpet spotter. You can have the BEST SPOTTER in use today free of charge just email your address details with postcode to paul@pauldyson.co.uk quoting Christmas Tip. Alternatively, phone the office at normal times on 0191 266 6111. Offer ends 04th January 2016 only while stocks last on offer. Terms and conditions – one per household. Merry Christmas from Paul Dyson and all staff.